We here at Elay Precision have been frustrated with the current option for Tikka trigger springs for some time now. We decided it was time to develop a better trigger spring, and share it with our fellow shooters. What we ended up with is a custom trigger spring for the Tikka T3 and T3X series of rifles that yields an extremely crisp trigger pull weight of 1.0-1.5 pounds, while maintaining all factory safeties. The trigger spring is proudly made in the United States from high-strength, corrosion resistant stainless steel to ensure performance in all conditions. The Tikka T3/T3X trigger spring ships fast and for free, and is backed by our unconditional Lifetime Warranty. Pull before (with factory spring) and the screw all the way out was 2.3 lbs, now after Elay trigger spring the pull went down to 1.6 lbs with the screw all the way out. Received mine and installed. The lightest I could get the T3 trigger with the FACTORY spring was about 20-22 ounces (1.25 lbs). With the new spring it’s down to 14-15 ounces, with no slam fires. Two Thumbs Up. Lyman trigger scale arrived so did the swap. With set screw adjusted all the way out I got right at 2lb 5oz with factory spring and 1lb 3oz with Elay spring. These were ave of 5 pulls. Over 10 pulls the Elay spring was consistently within a couple 1/10ths of 1lb 3oz if I took care to do slow steady pulls with the scale. I received mine today and installed it into my T3x. I was able to adjust down to the point of slam fire. I backed it off a little and it is magic. I don’t have a trigger scale. I guess it’s just above a pound or so. It’ll do the trick. I did open up my Sako quad and it looks to be the same size factory spring. After adjusting the stock spring screw i was able to get it down to a lower pull weight than the Tikka stock screw. Does the quad need the spring? I’m not sure. I’ll have to go and shoot them both, back to back to tell if it needs the spring. I wouldn’t hesitate to recommend this modification! Received the spring very quickly and is as advertised. Very simple installation in my T3X Lite. I was worried it would be too light of a trigger pull for a hunting rifle but I found the higher end of the pull weight to be a little higher than the 1.5lbs as described. This was great for me as I really wnated to set the triger at 2 lbs. I did move the trigger adjustment screw almost all of the way out and had the pull down to 1 lb. 5 oz. I then screwed it back in an set it to be just a hair under 2 lbs. I made 10 pulls on my Lyman digital scale and the trigger was very consistent. ALmost all pulls were 1 lb 15 oz. or 1 lbs 14 oz. I had 1 just under 1 lb 14 and 2 just over 2 lbs. I would definitely recommend this spring and will certainly buy one for each Tikka I own. The bonus was the super fast shipping. I just wanted to thank you for the spring set that you sent me.I Finally received the rifle and was able to install the spring, which was very easy to install. The trigger feels like a high dollar trigger now. Hats off to you and your company! I don’t often post reviews, but this is a great product. I’m getting started in PRS with a Tikka T3X TAC A1 in Production Division. I adjusted the stock trigger down to its lowest setting, about 2 pounds (I don’t have a trigger pull gauge) and my groups are good (0.33 to 0.50 inches at 100 yards, depending on the load). I’ve shot 50 rounds since installation (which was easy) over two separate sessions and my group sizes are smaller and more consistent. 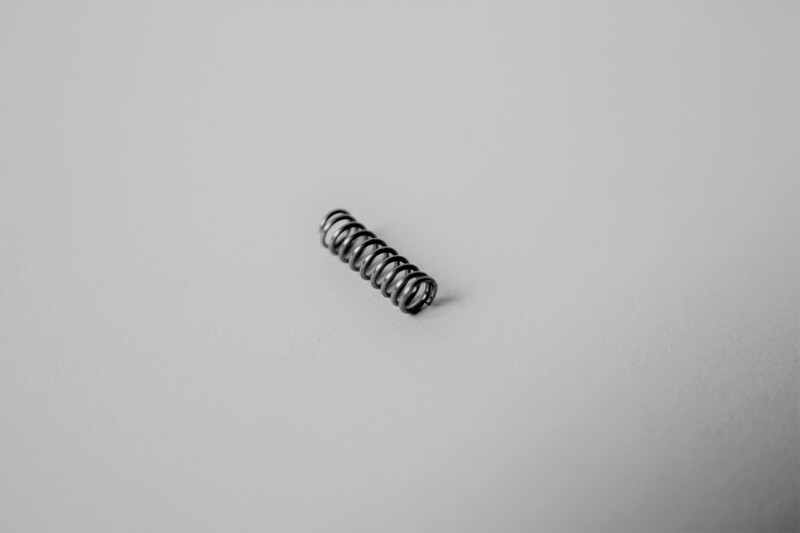 The Elay Precision spring takes an already excellent factory trigger to a higher level of performance. Extremely smooth and consistent all the way through the pull with zero grit, hesitation or interruption, which makes it very easy to keep the reticle on target in the glass. This is a must-have for anyone using a T3X action in PRS. It is like shooting a completely different rifle!